Elizabeth died peacefully, surrounded by love, in her 90th year. Born in Massachusetts to the Rev. Albion and Kathrine Ockenden, Elizabeth was the third of five children. 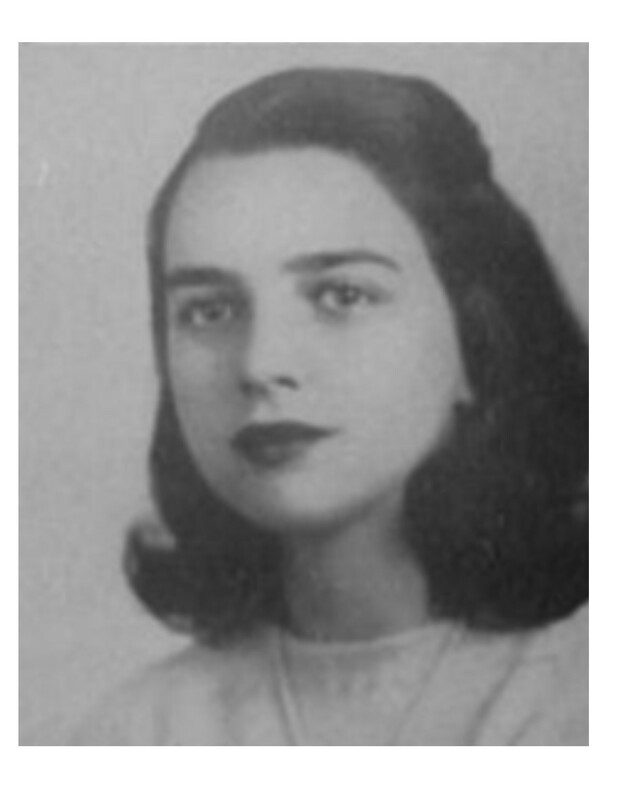 She graduated from Smith College in 1950 and in 1955 married the Rev. Gerald Loweth. 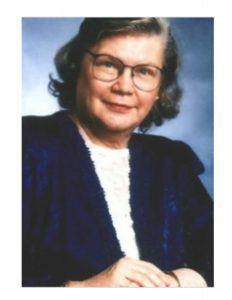 They moved to Hilo, Hawaii in 1956, where she served as the only woman on the Charter Commission for the County of Hawaii, moving toward legal charter for statehood, and as the Founding President of the League of Women Voters in Hilo. During the eight years they lived on the Islands, they welcomed their four children. The family moved to Toronto in 1964. Elizabeth enjoyed a long and varied career in mental health, human rights, and social justice. Her last position before retirement was Executive Director of the Canadian Centre for Ethics and Corporate Policy. She was also an active volunteer, particularly with the Anglican Church, and in recognition was given the Anglican Award of Merit in 2010. This is the highest honour given to lay people who have contributed to the life and work of the church at national and international levels. But more than career and awards, Elizabeth was devoted to her family. She survived her husband and best friend of 61 years, and will be deeply missed by their four children: Doug (Maureen Loweth), Kitty (Jim Danks), Maile (Mark Reeves) and Jennifer. Elizabeth was so proud of her eight grandchildren, who gave her so much joy: Tenney and Aidan, Bradley and Alexandra, Bridget and Connor, and Clara and Charlotte. Elizabeth is also survived by a sister, Kitty Ockenden (’49) of New York, and seven nephews and nieces, all of whom gave love and support. She was predeceased by her parents and siblings: Johanna Sencak, Edward Ockenden, and Albion Ockenden. Heartfelt thanks to Elizabeth’s medical team, including Dr. Christine Elser, Dr. Bernard Cummings, Dr. Daniela Costantini, Dr. Martin Strauss, Dr. Bruce Horten, Elena Aviva and Chris Bell for their care. They would also like to thank the wonderful staff at Oak Ridges Retirement Residence where Elizabeth lived for the last month of her life. Visitation will be held at Marshall Funeral Home, located at 10366 Yonge Street in Richmond Hill, on Thursday, October 4th from 2:00 to 4:00 and 6:00 to 8:00. The service will be held at St. Mary’s Anglican Church, located at 10030 Yonge Street in Richmond Hill, on Saturday, October 6th at 2:00. In Elizabeth’s memory, her family would appreciate donations to the International Anglican Women’s Network, c/o the Canadian Compass Rose Society, or the Yellow Brick House (www.yellowbrickhouse.org/). 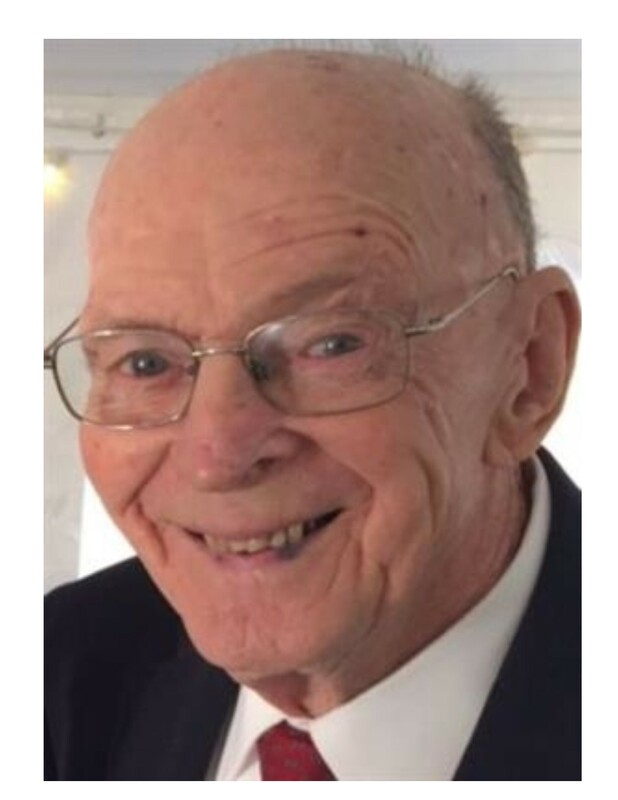 Charles P. Gleason, Jr., (Jupe), a lifelong resident of Northampton, MA, passed away on December 21, 2018, at the age of 90. He was born July 23, 1928, to the late Charles P. and Francis (Rupprecht) Gleason. 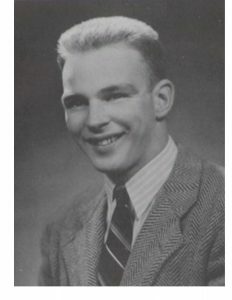 Jupe graduated from Northampton High School in 1945. He served as the Senior Class President and earned varsity letters in Football, Baseball and Basketball (Captain). Jupe later attended Williston Academy and Saint Anselms College, (President Sophomore Class) and went on to earn his business degree from The University of Massachusetts. He served in The United States Marine Corps. Working at the Montgomery Rose Garden in Hadley during high school enabled him to be assigned as the General’s gardener making his rose garden a sight of beauty. After graduating, Jupe worked at ProBrush. This prepared him for his future career in sales at the former Eastern Container Corporation. Traveling across the state, he made many lasting friendships. He was very active in the community and was presented with a sports recognition award for outstanding community service. He coached Little League baseball for 13 years and YMCA basketball for 11 years. He was a life member of the Northampton ELKS Lodge, a member of the Florence Civic and Business Association, Friends of Cooley Dickinson Hospital (50+ years), President of Holy Name Society at Annunciation Parish, and President of the PTA at Florence Grammar School. He was elected and served 4 years on the school committee. He also served on the Ryan Road Building Addition Committee. Jupe married Marguerite (Midge) Douyard in 1950. They had a marriage made in heaven. They raised five children in Florence – Charles (Amy) of Holyoke, MA; Meg (Jack) Salvadore of San Antonio, TX; Colleen (Bill) Pohl of Cincinnati, OH; Kevin (Mary) of Altamont, NY; and Michael (Debbie) of Ocala, FL. He was a wonderful role model for his children, a caring and supportive grandfather of 11 (Aimee, Kristen, Kerry, Kevin, Billy, Dan, Meghan, Shelby, Brian, Mikey and Jamey; and proud great-grandfather of 21. Jupe had many interests. Reading was one. His favorites were political and historical novels. Golfing and belonging to the Northampton Country Club were a very important part of his social life. He especially enjoyed his morning matches with his friends and golfing with his boys in various tournaments. Going to Florida to his timeshare on a golf course in the winter was special. His greatest joy was having his children, grandchildren and great grandchildren join him at the resort. Having the family carry on the tradition pleased him very much. He played bridge and poker and enjoyed Wednesday luncheons at the Blue Bonne t. All of these activities done with old time friends. In 1970, Jupe and Midge went on their first airplane trip to Paris and that was the beginning of their desire to travel to different locations annually. They lived an idyllic life. Calling hours are Thursday, December 27th at Czelusniak Funeral Home in Northampton from 2 PM-5PM. The funeral will be Friday, December 28th at Saint Elizabeth Ann Seaton’s Annunciation Chapel on Beacon St in Florence at 10 AM. Memorial Contributions can be made to the Charles P. Gleason Jr. Scholarship, C/O Dollars for Scholars and mailed to PO Box 60382, Florence, MA 01062-0382 in Jupe’s name. Conrad Schirokauer died in Cleveland, Ohio on September 19, 2018 at the age of 89. Conrad was born in Leipzig, Germany. When he was six years old, his family left Germany and the rising Nazi regime for Italy, where they spent three good years before moving to Memphis, Tennessee in 1938. With few resources but abundant tenacity, the family found its way in a new country that welcomed them and became Conrad’s life-long home. The family’s time in Memphis was followed by multiple relocations until they eventually settled in Baltimore, Maryland. Soon after, Conrad left to attend Williston Academy. 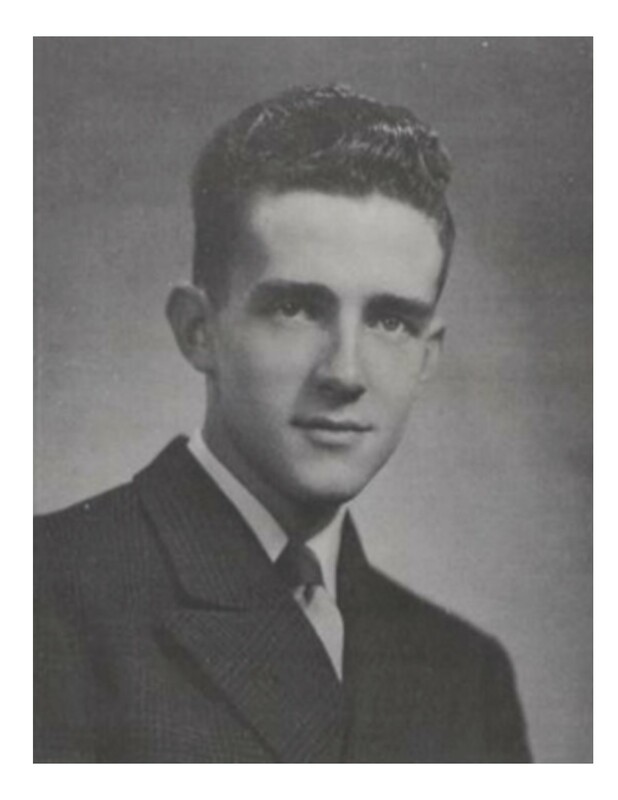 He completed middle and high school there, graduating as valedictorian in 1946. Following high school, Conrad enrolled at Yale College, where he became fascinated with China and, in particular Chinese intellectual history. Against the advice of family and friends, he chose to pursue an academic career as a scholar of China, intent on exploring what was at the time a largely undeveloped field, and deeply committed to a belief in the value of learning about a culture and society different than one’s own. 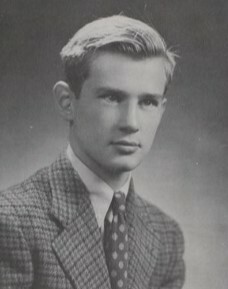 After graduating from Yale in 1950, Conrad continued his intellectual pursuits as a graduate student at Stanford University. In 1955, his studies were interrupted by obligatory military service. The military stationed Conrad in Paris. For his first Christmas back in Europe, he accepted an invitation to Cambridge, England, to visit the Striches, a German expatriate family whom Conrad’s family had known well during their time in Italy. Conrad and Lore Strich (who remembered each other from childhood) were married not long afterwards, in November of 1956. Conrad’s first academic position was at Swarthmore College. In 1962, he joined the faculty of the City College of the City University of New York, retiring in 1991 as Professor of History. Of great importance to Conrad and his family were three years of academic leave, taken early in his career (1967-69, 1971-72), which were spent traveling in Asia and living in Kyoto, Japan. The time spent exploring new lands nurtured a passion for travel in Conrad and Lore that was a defining feature of the next fifty years of their life together. Conrad was deeply committed to his role as an educator and over the course of his career, he authored not only scholarly articles but also multiple textbooks on East Asian history. He especially loved to teach and after retiring from City College, continued to do so at Columbia University as a Senior Scholar in the Department of East Asian Languages and Cultures, only stopping at the age of 89 when he fell ill.
Conrad passed away peacefully with his family at his side. He will be remembered for his kindness, concern for the well-being of others, gentle playfulness, and lively sense of humor and irony. Conrad is survived by his wife of 62 years, Lore, his son David and wife Dawn Adams, his son Oliver and partner Monica Gerrek, his grandchildren Leo, Somiya, and Sierra, and his brother-in-law John Goodell. He was preceded in death by his mother Erna, his father, Arno, his sister Annette, his granddaughter Kestra, and his sister-in-law Sabina Strich. Miriam Hilda (Goldstein) Sommer, age 89, of New Haven, Conn., died peacefully on May 9, 2018, at The Connecticut Hospice. 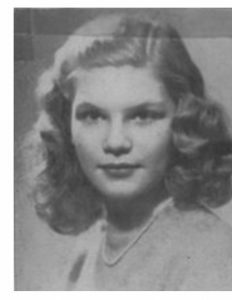 She was born on May 2, 1929, in Springfield, Mass., to Nathan and Annie (Ginsberg) Goldstein. Mimi, as she was known to many, attended Northampton School for Girls and Wells College and later earned a master’s degree in art history at Southern Connecticut State College. For many years, she worked in the Department of Music at Yale University. She was proud of her second career as a freelance journalist; her interviews and stories were published in The New York Times and in various travel magazines. She was a champion of the arts and a devoted cinephile. For many years she held a weekly “story hour” for her neighbors’ children. 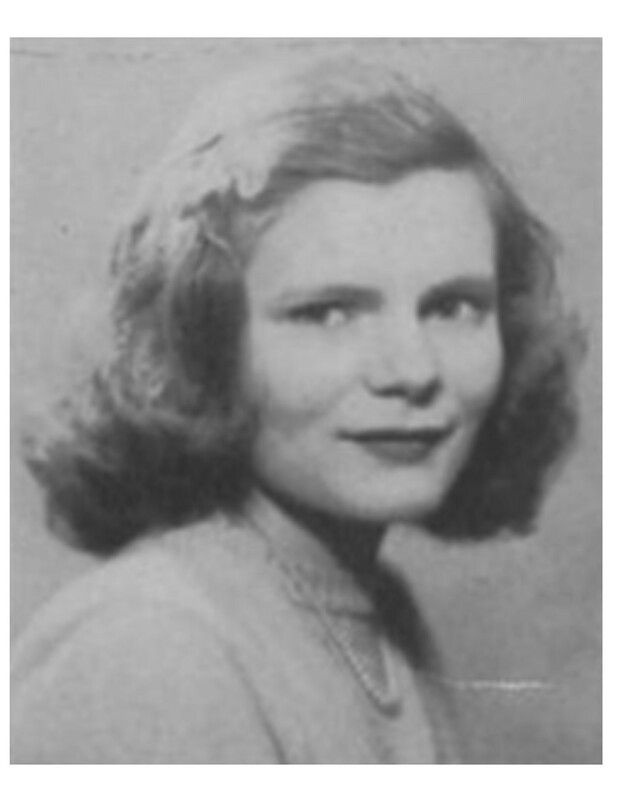 She leaves behind many loving and devoted friends and relatives, including her “French family.” She was predeceased by her three older brothers and is survived by her daughters, Babette, of Forest Hills, N.Y., and Annie (David Rabinowitz) of Hamden, Conn. She was previously married to Leonard Samuel Sommer of Key Biscayne, Fla.
Atty. D.J. Harry Webb, 88, of New Britain, CT, husband of Sylvia “Winnie” (Engstrom) Webb, passed away Monday December 18, 2017 at Jerome Home in New Britain. 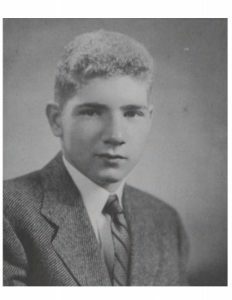 Born and raised in Hamden, son of the late Daniel John Henry Webb and Olive (Sarles) Webb, he lived in New York City while attending graduate school, moving to New Britain in 1960. Harry graduated from Williston Northampton School, attended Wesleyan University and received his undergraduate degree from the University of Connecticut in 1953, his Law Degree from UConn Law School in 1956, and received a Master Degree in Tax Law from New York University in 1958. Harry was a Partner in the Law Firm of Pease, Kozlosky & Webb in New Britain until 1963. He later formed the firm of Webb & Belkin and then the firm of Pudlin, Silver, Webb, Sweeney, Clebowicz and Griffen. He opened his own firm as he approached retirement. Harry was a member of St. Marks Episcopal Church in New Britain; a former member of Shuttle Meadow Country Club; local, county and state bar associations, and many local organization including serving as president of the United Way and the New Britain Bar Association. He also served as pro bono legal council for the Jerome Home Arbor Rose, where a library is dedicated in his name. 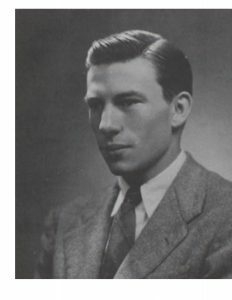 When he wasn’t cheering on his favorite UCONN Huskies, Harry loved diving into a WWII history novel, and expanding his knowledge through travel to many places including Alaska, Turkey, Normandy, the Baltics and South Africa. Being an avid outdoorsman, Harry enjoyed running, hiking, tennis and skiing into his 80’s. Harry had a wonderful gift of being able to engage in conversation with anyone about anything. Most of all, he cherished the time he spent with his beloved family. 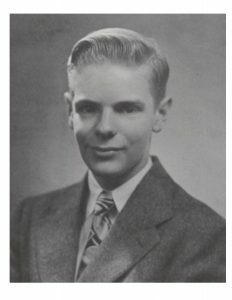 Besides his wife Sylvia, he leaves a son, Daniel A. Webb and his wife Laurie of Guilford and Bluffton, SC; three daughters, Linnea Hoyt and her husband Karl of Boston, MA; Alison Jahn and her husband Anders of Newburyport, MA; and Victoria Baughman and her husband Eric of Hanover, NH; 10 grandchildren Caroline, James, Sarah Webb; Mather, Josephine, Harry Hoyt; Annika, Tomas Jahn; and Charles, William Baughman. He also leaves his former wife, Laurine (Hoaglund) Webb of Newburyport, MA. He was predeceased by two sisters, Elizabeth P. Brown and Frances M. Canfield.